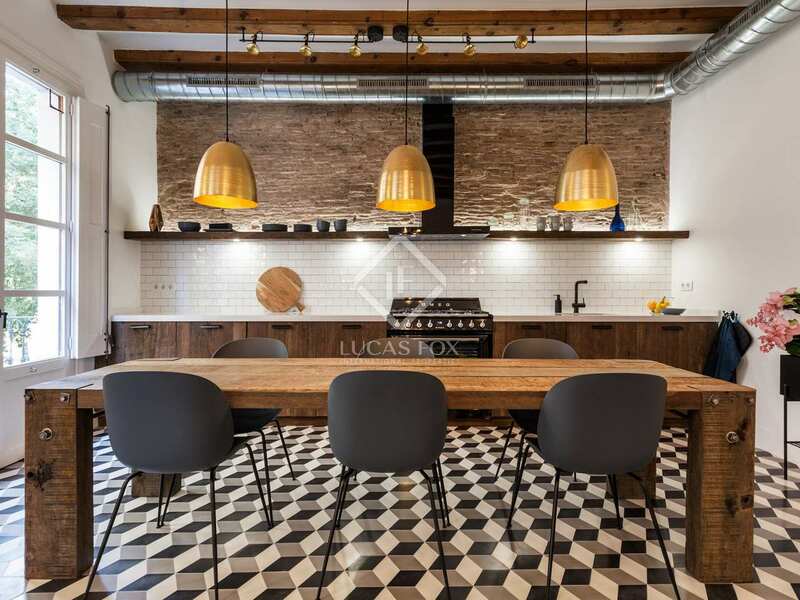 Wonderful turnkey apartment located in Barcelona's El Born neighbourhood, sold fully equipped and furnished. 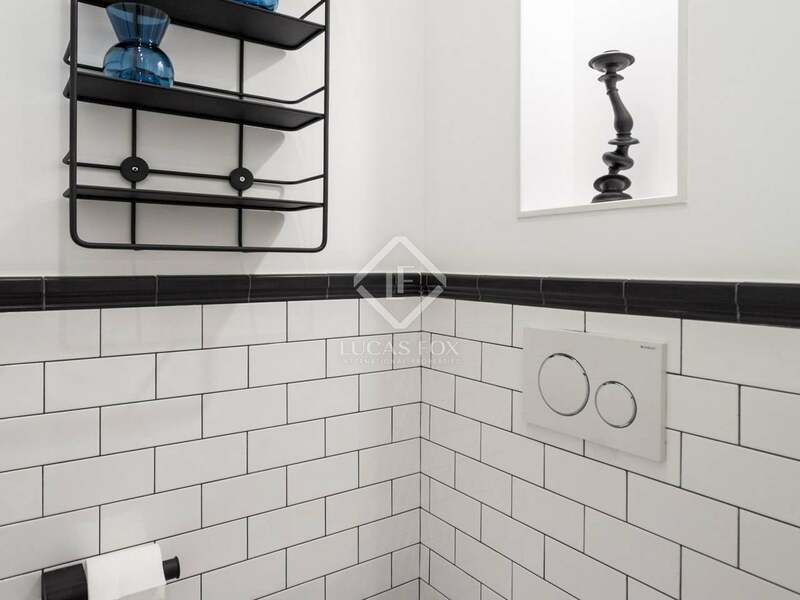 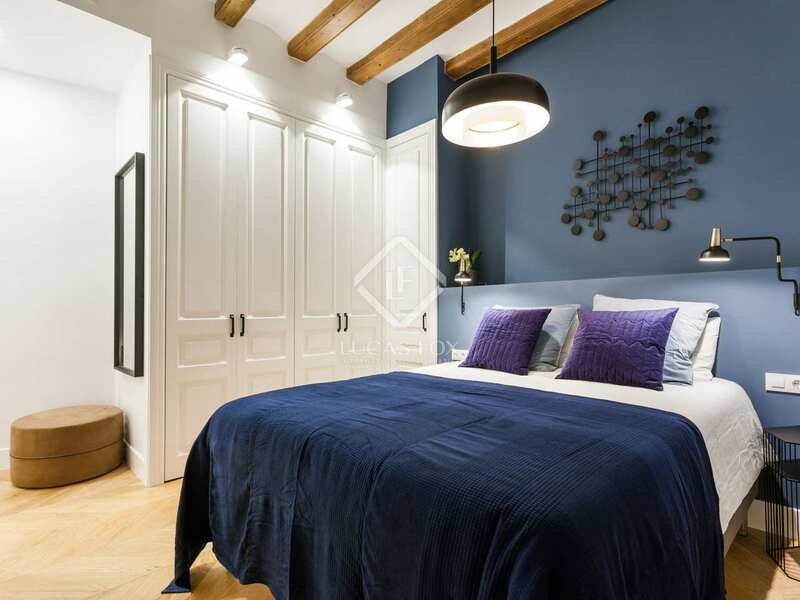 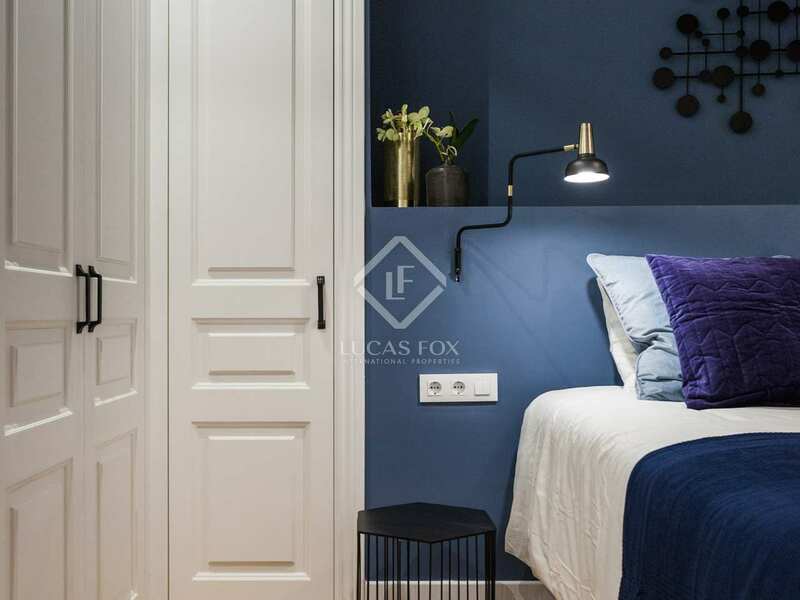 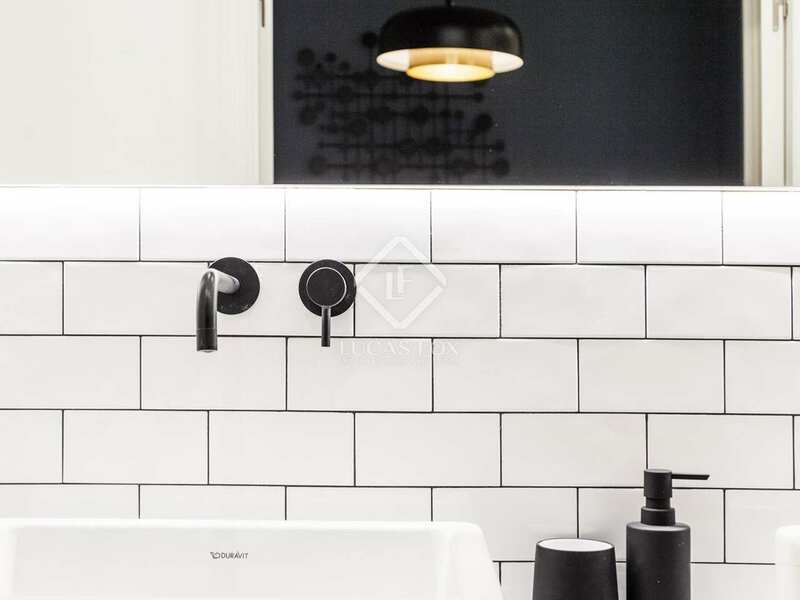 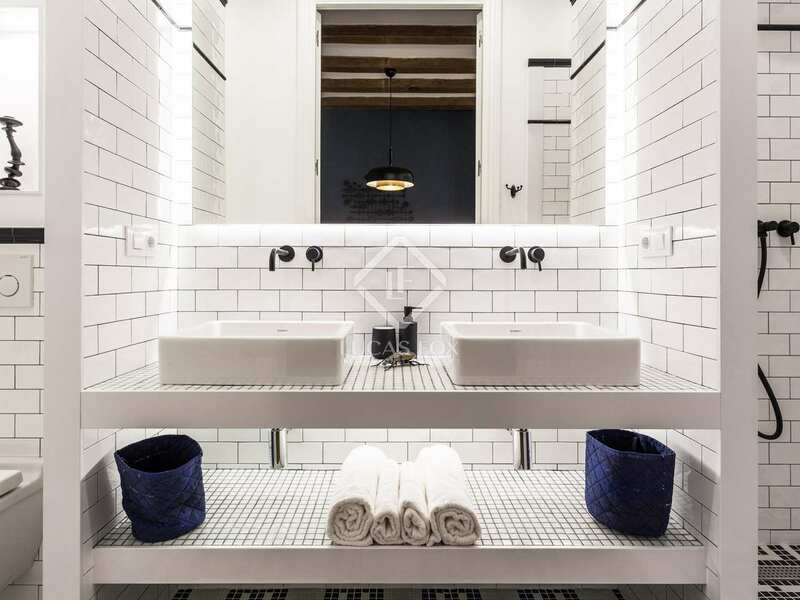 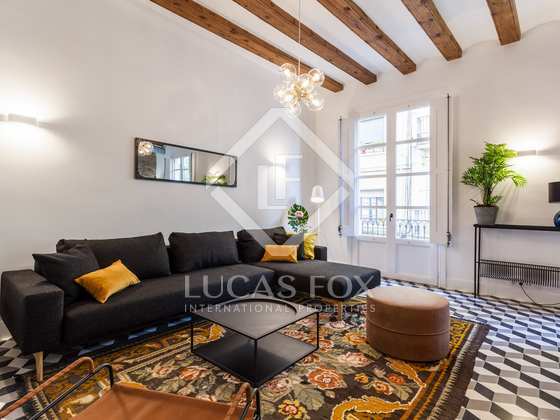 This newly renovated luxury apartment of 101 m² is located on a wide pedestrian street in the heart of El Born. 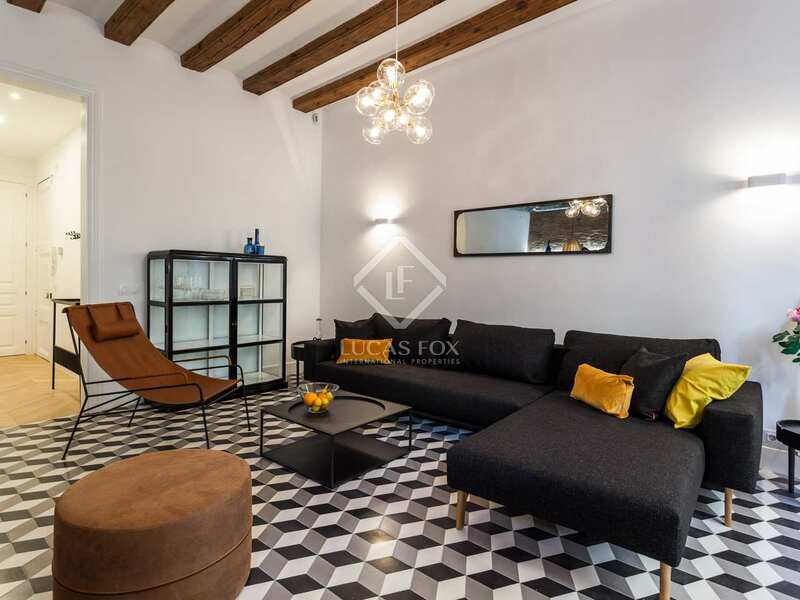 It is situated on the first floor of a charming building with a lift. 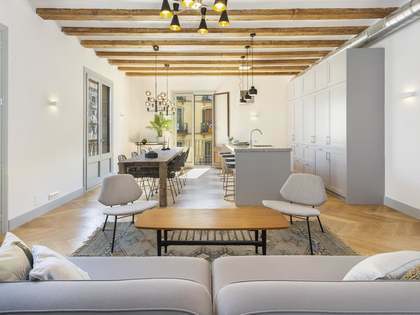 The ceilings are 3.30 metres high with arches and wooden beams. 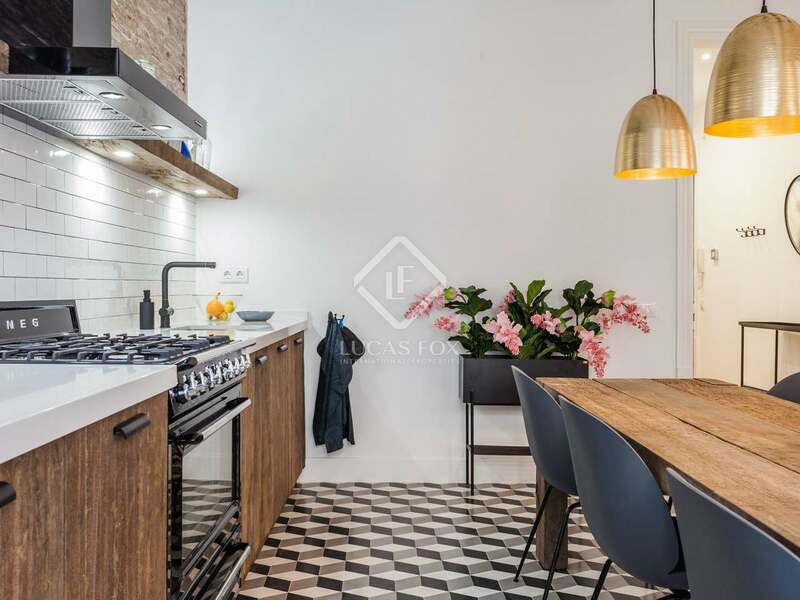 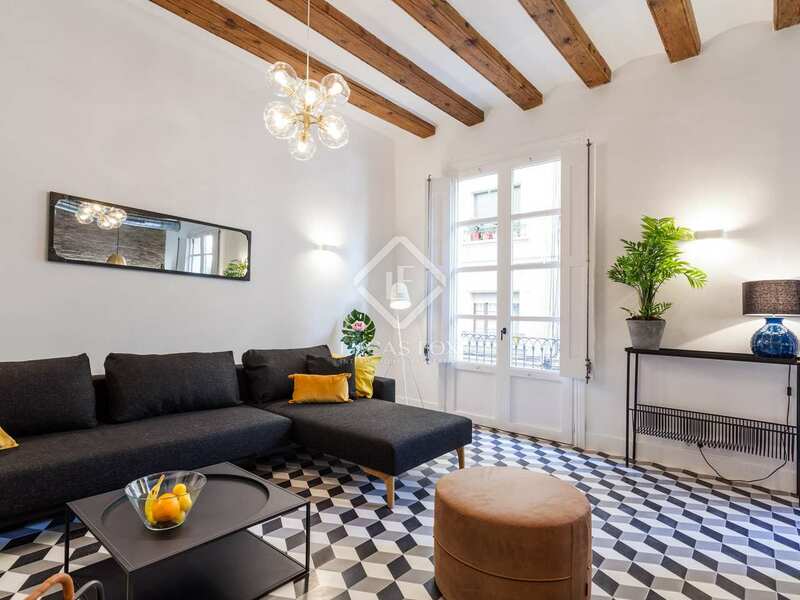 The apartment has an open living kitchen of 40 m² with 2 balcony doors overlooking the pedestrian street below, Carrer Carders. 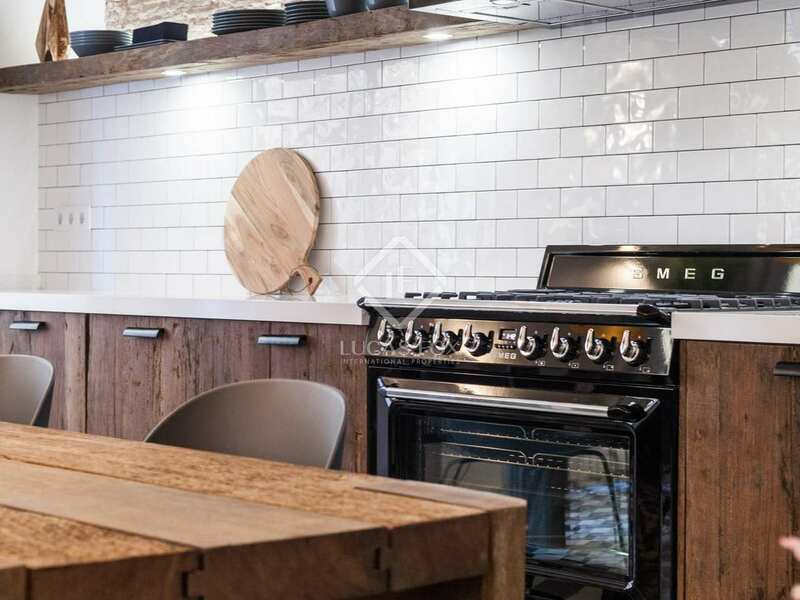 The kitchen has been tailor made and fully equipped with SMEG brand appliances. 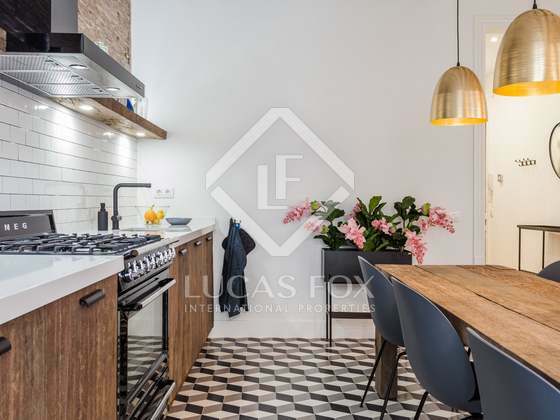 Next to the living area is a side kitchen with a second refrigerator which guarantees sufficient storage space. 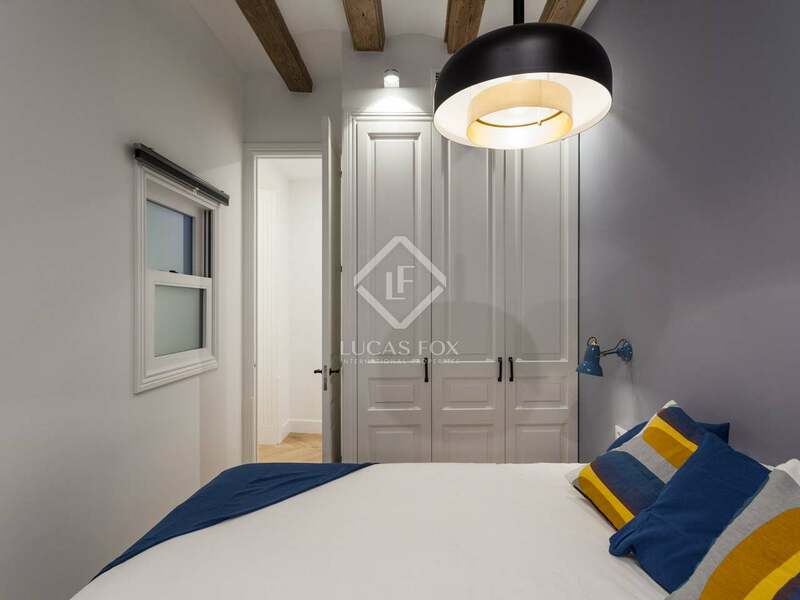 Towards the back of the apartment there are 2 beautifully designed double bedrooms and each one has its own patio. 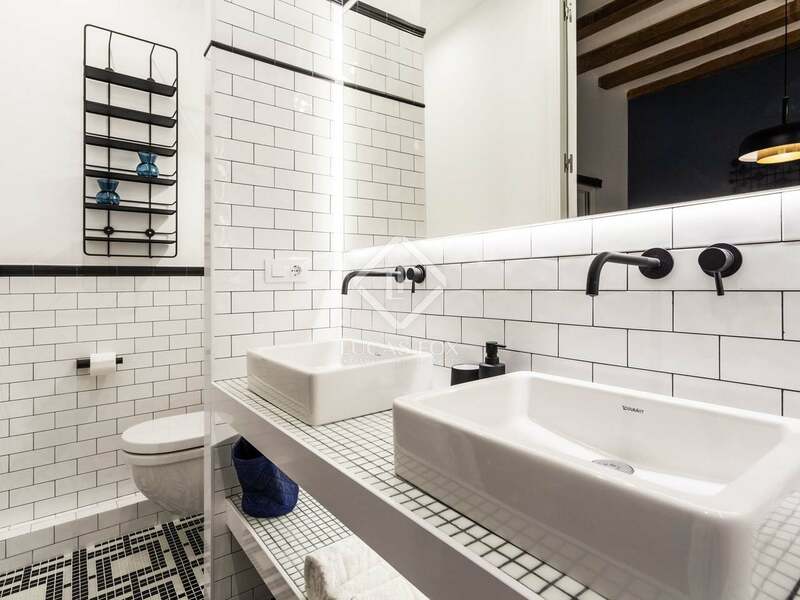 There are 2 bathrooms, one of which is ensuite. 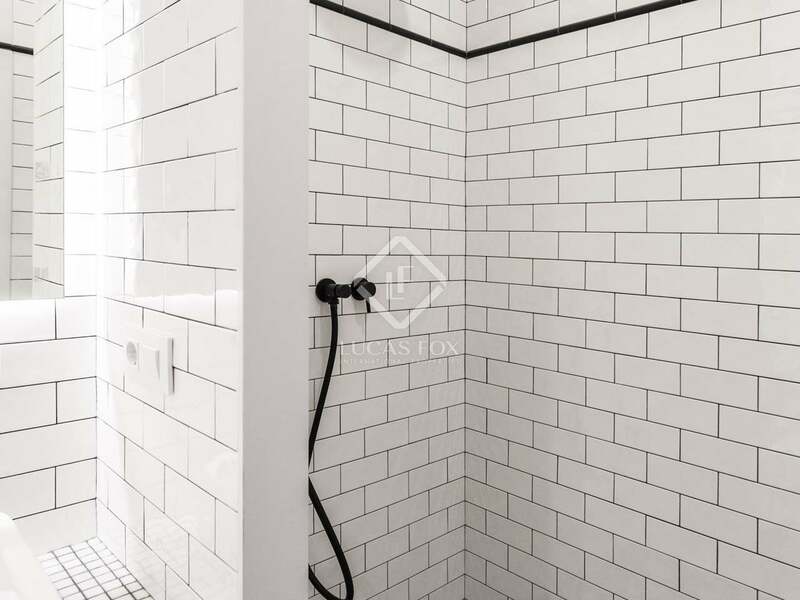 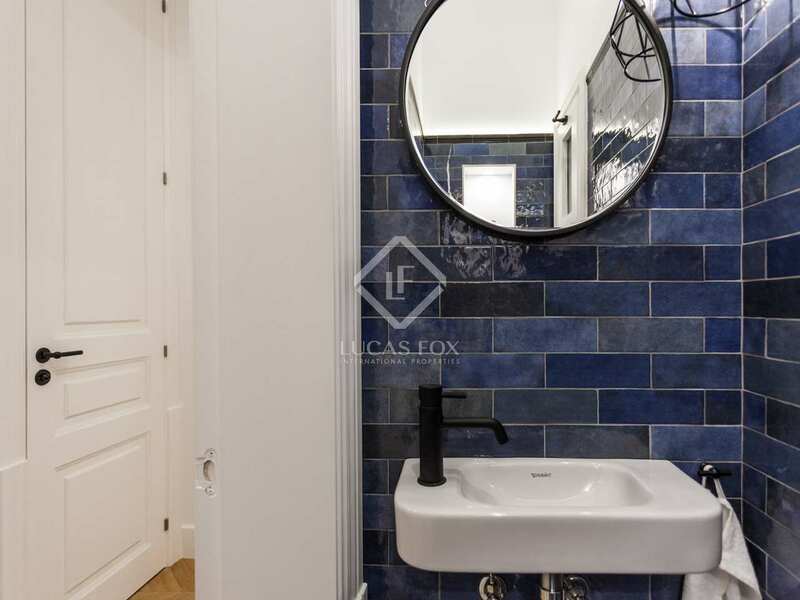 Furthermore, the apartment benefits from a guest toilet and built-in wardrobes. 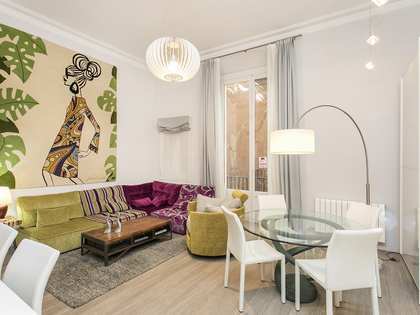 This is a turnkey apartment, including the furniture and household equipment. 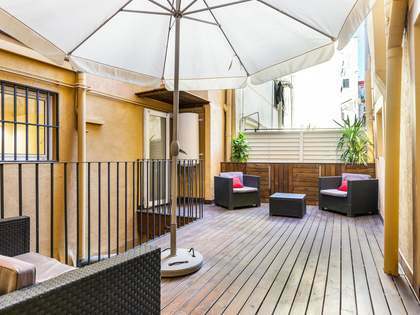 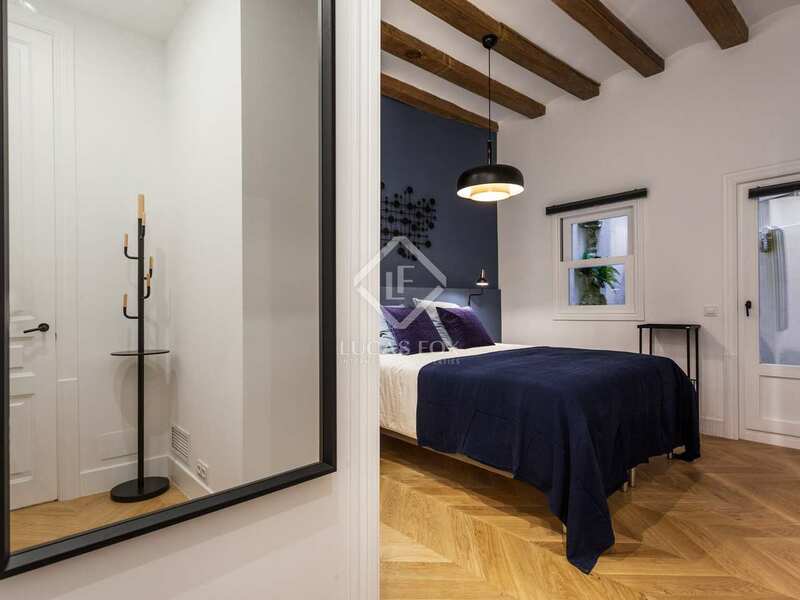 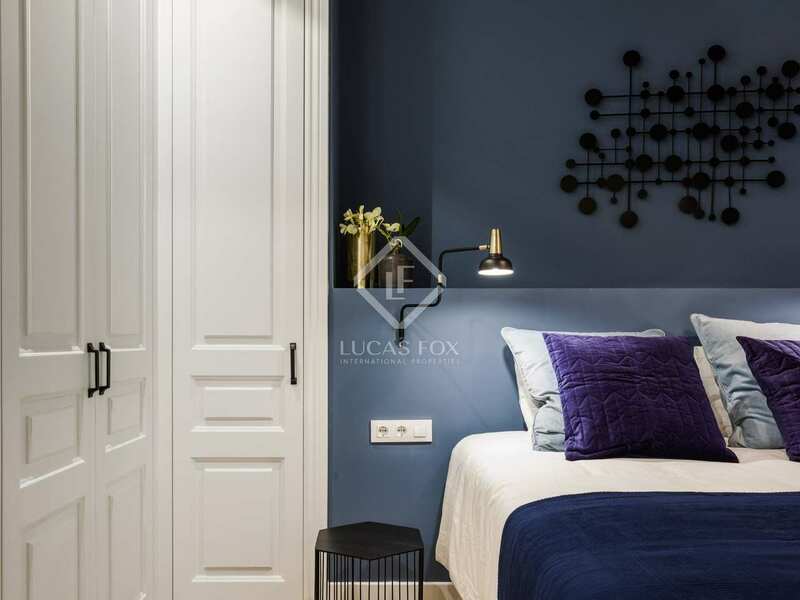 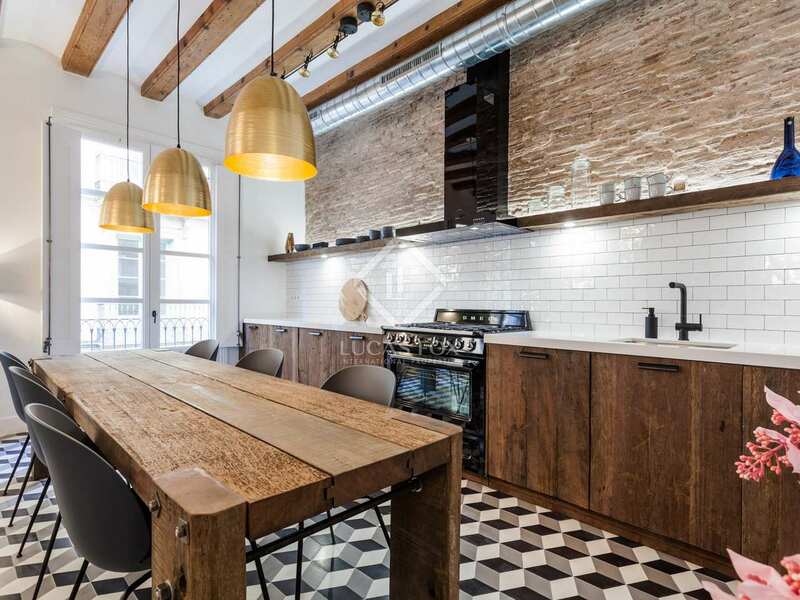 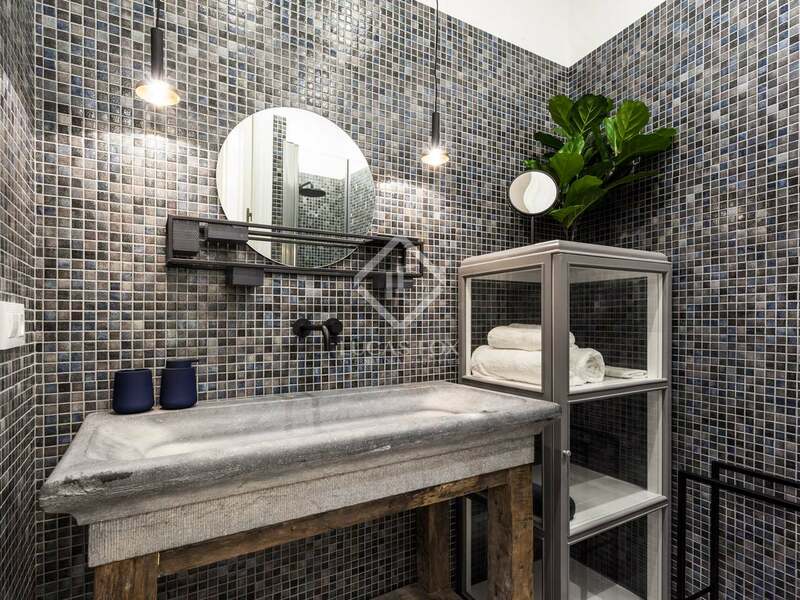 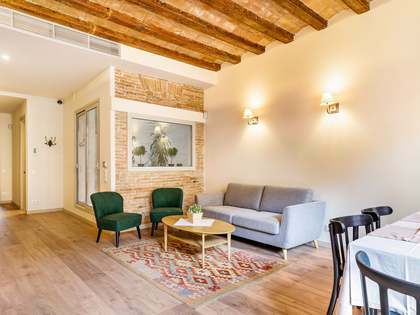 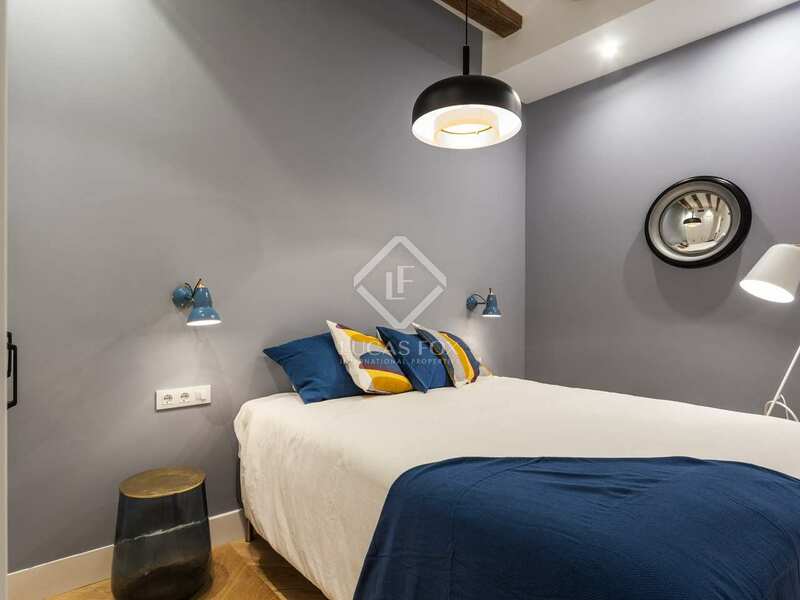 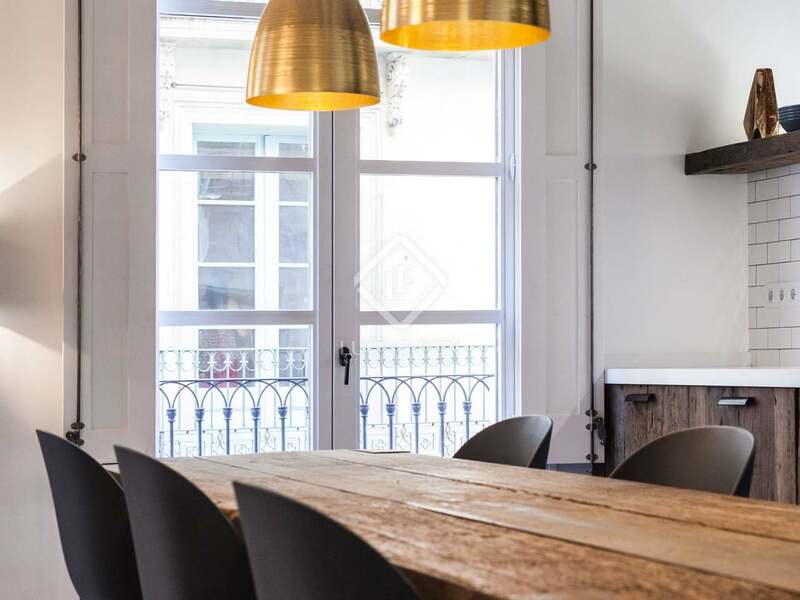 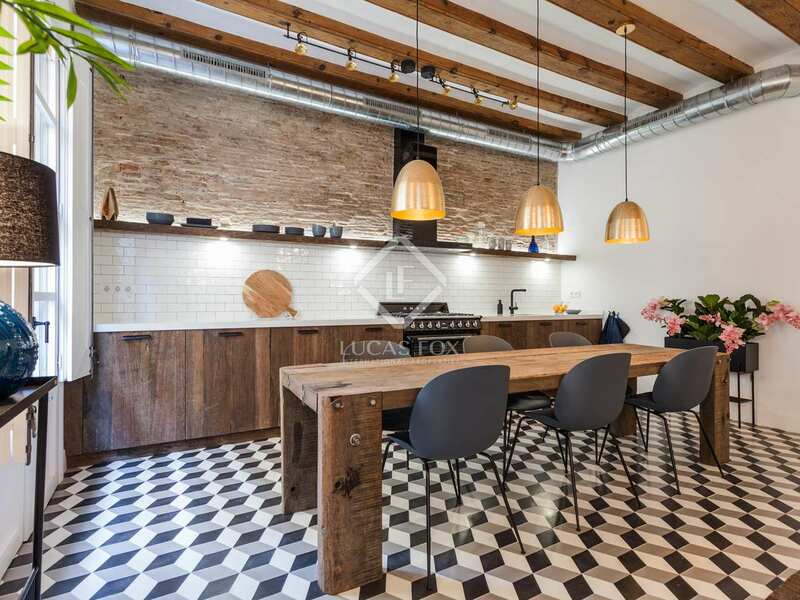 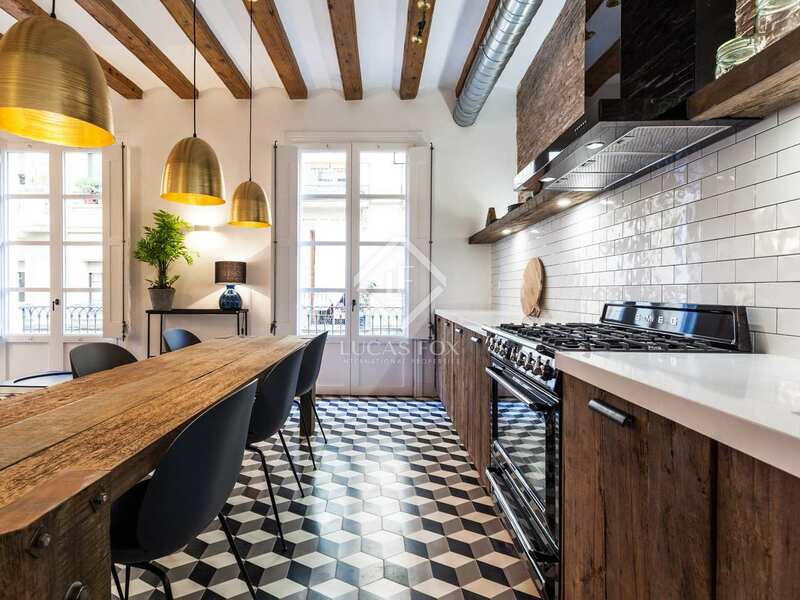 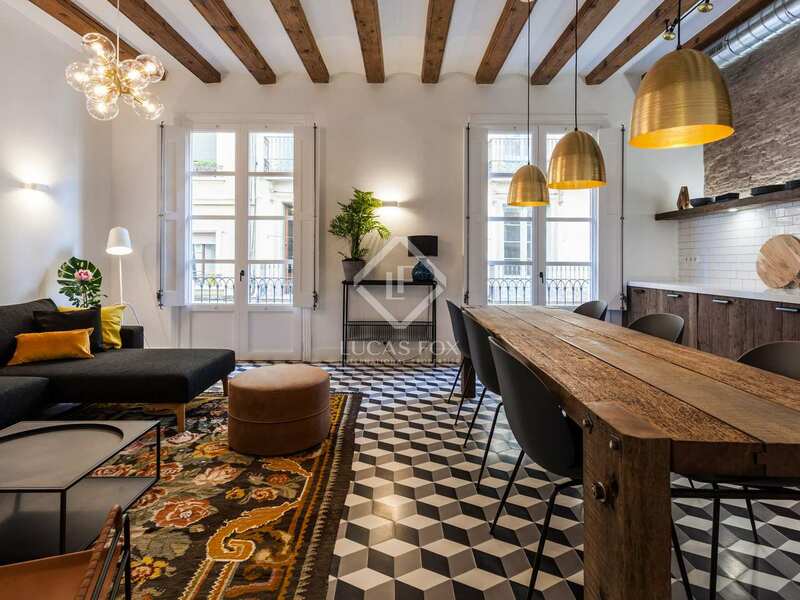 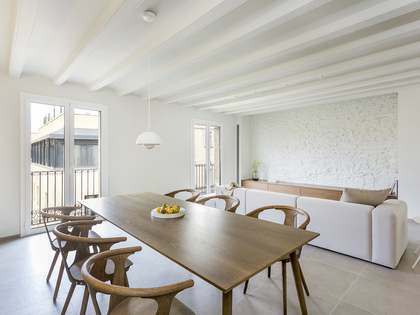 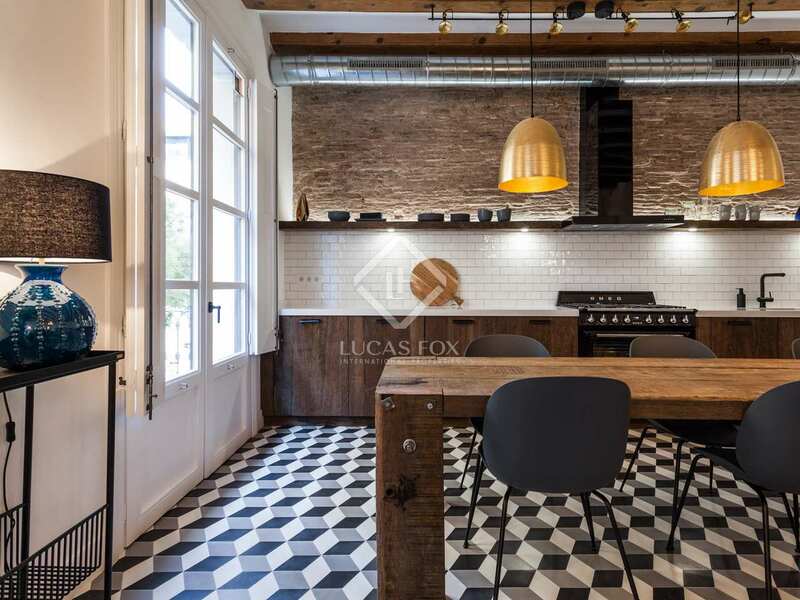 Property located in Barcelona's El Born neighbourhood, in the heart of the charming Old Town. 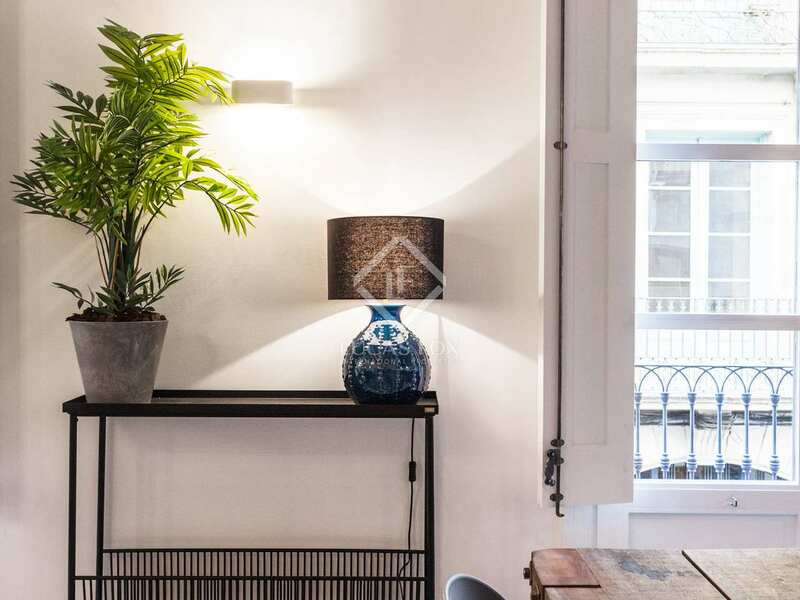 This vibrant neighbourhood is home to a vast range of restaurants, cafés, independent stores and museums. 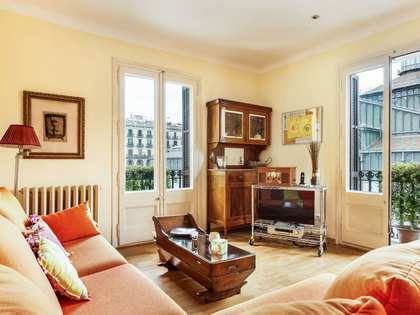 Some of the city's most well-known sites and cultural attractions are close by, as is the beach. 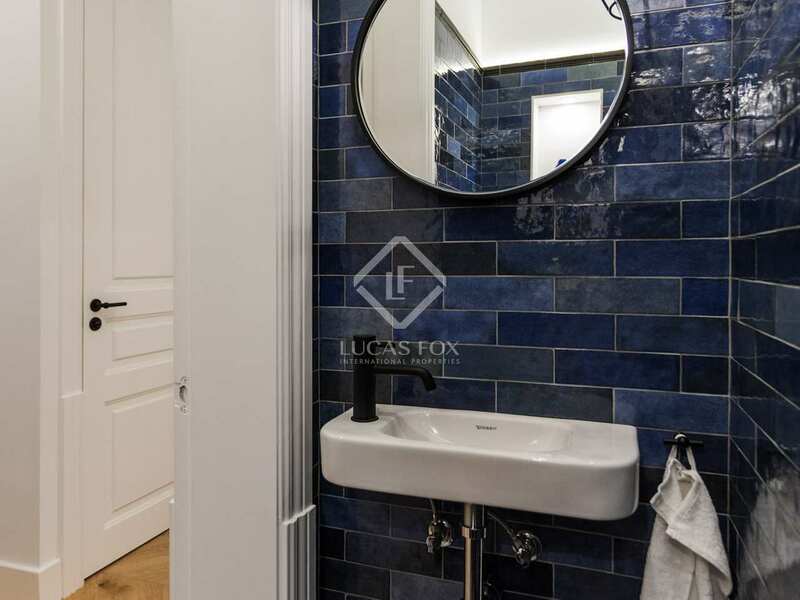 The area is very well connected by public transport to the rest of the city and surrounding areas.